DirecTV gives their customers up to $1000 in bill credit if they refer others to their DirecTV service. For every new customer referred to DirecTV, their current customer gets a $100 credit (up to 10) and DirecTV becomes the provider for another household, gaining monthly service fees in addition to any special event or upgrade fees. The new customer gets a friendly new service ready to lavish them with benefits. This article is not a pitch for DirecTV, despite the laudatory language. But DirectTV’s approach definitely demonstrates the value of referrals and recommendations. If DirecTV, a faceless company, understands it, imagine the use of referrals in sales, which involves face-to-face interaction. Sales jobs require attentive individuals who have the power to capture a potential client’s trust and retain it over time. Many would argue that the initial interaction in which a salesman must convince their potential clients to become real clients is the hardest part. Surely, good salesmen have a particular set of skills, like charm, understanding, or attentiveness, that enable them to expand their client list. But even good salesmen must work hard to get those leads. 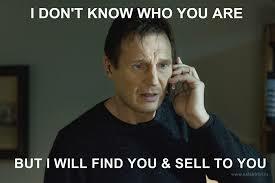 Prospecting is difficult, especially when you’re essentially cold-calling prospects. But what if, if only, there was an easier way to create leads? And not just any leads. Good leads. 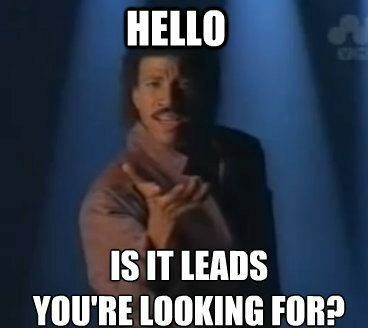 Leads that have more potential than the average cold-call recipient. There is. It’s called referrals. Referrals should hold a special place in the heart of sales. Referrals are valuable even in industries that do not involve person-to-person interaction. If you tell me that one blanket is warmer and more loving than another kind of blanket, you can bet I will buy the blanket you recommended because warmth and love is what I want. Likewise, if you tell me that your personal financial advisor is understanding, smart, and attentive to your needs, I am more likely to trust your recommendation than if I had read those same words in an ad. Furthermore, in 2013, Nielson found that 84% of consumersin any industry – entertainment, finance, consumer products, etc. – will trust a product more if recommended by friends or family. Eighty-four percent is a huge statistic in any consumer industry. If even a fraction of those recommendations translated into referrals and then sales, the benefits could be huge and self-sustaining. A human element alters a product or service review and makes it more real and tangible to prospects. Because of this, word-of-mouth marketing is still one of the most effective outreach programs a company can implement. In sales, it is invaluable. Leads generated through referrals are more valuable than normal leads for several reasons. For one, your customer knows your potential leads more intimately than you. When they approach your lead, they don’t have to establish the trust that you usually have to foster. Your customer’s recommendation comes naturally, as a simple suggestion in response to your prospect’s issues. This leads to another advantage: your current customer is already using your services and evaluating your value. Knowing what you can do and how well you do it, your current customer can evaluate whether your potential customer needs or could benefit from your services. From your perspective, this narrows down your cold-call list. Also, when the referred prospect comes into your office, you are more aware of their wants and needs. This saves you time and focus. . Sales is already challenging. Referrals do not mean that you can stop prospecting, but they do make prospecting much easier and more focused. If you have not done so yet, consider starting a habit of simply suggesting your availability to your best clients. Referrals should become a trustworthy stream of leads that allow you to make headway into future customer relationships. Listen to Nielson. Study the DirecTV example. Make sure you are selling the best, most loving blanket so that future customers come to you. Instead of having to slowly prove yourself to your sales prospects, let your previous work and sales clients speak for you.